Maintaining information privacy and security in the mobile environment, an issue having personal and organizational implications, remains a challenge because the context of a mobile device can change rapidly. In response to this, the authors have been investigating methods of maintaining the privacy of sensitive information accessed in mobile environments (i.e. potentially in public places). This particular study, still in progress, will collect and analyze data on employee information privacy and security practices and perceptions. A complicating factor is that the classification of information as “private” may not be absolute. Privacy levels of organizational information will be dictated by company policy, while privacy concerns with personal information are based on the employee’s own comfort level. 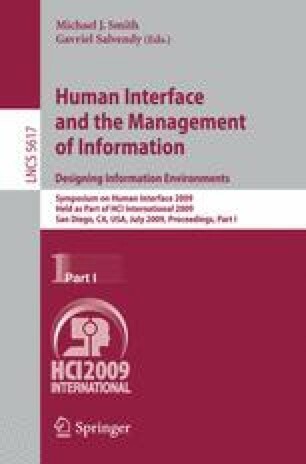 Hence potential conflict arises if an individual uses a single mobile device for both personal and organizational information access. A summary and status of design activities and the planned implementation of the study is provided.